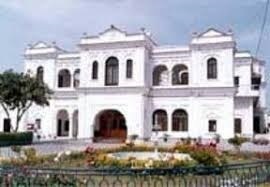 Jagatjit Palace was the residence of the erstwhile Maharaja of the State of Kapurthala, Maharaja Jagatjit Singh. 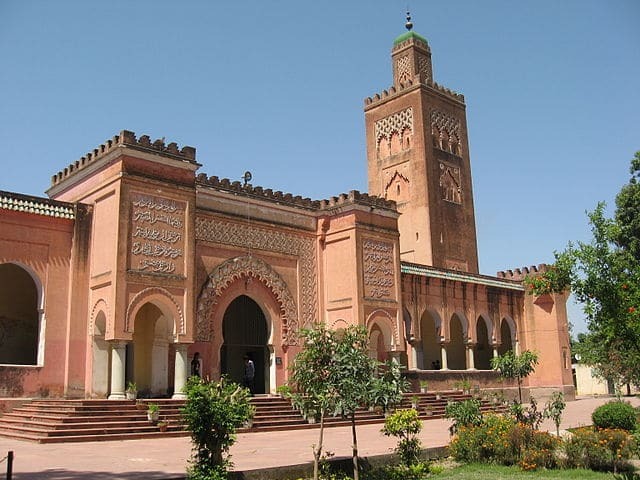 The palace was built in 1908 and is has a remarkable Indo-Saracen architecture and is modeled after the Versailles Palace. The Jagatjit Palace is now inhabited by the Sainik School to train boys for the National Defense Academy. The Elysee Palace was built in 1962 by Kanwar Bikram Singh, in the Indo-French style architecture. 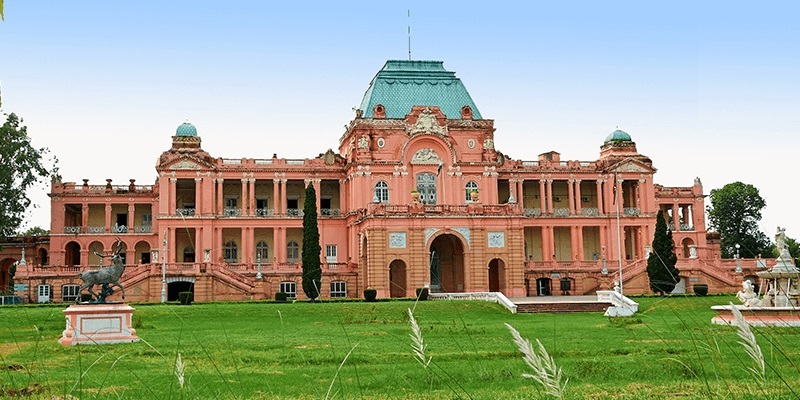 The Palace is a famous monument in the city with its magnificent façade and monolithic structure. Today this structure has been converted into the MGN School. 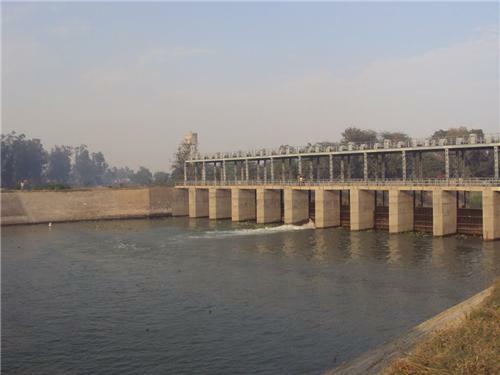 Kanjli Wetland was created by building headworks across the Bien River in 1870 to provide irrigation facilities to the region. The Kanjli Lake is formed as a part of this man made wetland and is a famous picnic spot surrounded by some amazing surroundings. This is a great place for the photography enthusiasts as a huge number of avi fauna and mammalian species are found here. 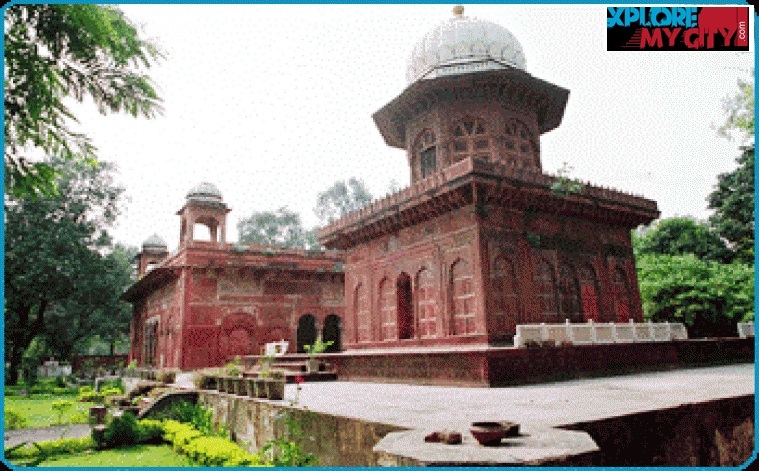 Moorish Mosque was commission by Maharaja Jagjit Singh Bahadur and was completed in 1930. 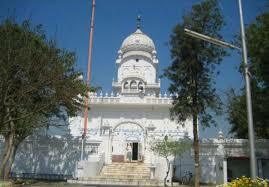 The Mosque is indeed an example of the religious tolerance during the time of the Maharaja’s Reign in Kapurthala. The mosque complex comprised of some amazing painting by the Students at Mayo school of arts in Lahore and is located amidst a beautiful garden. Panch Mandir, dedicated to several Hindu deities and was built during the reign of Maharaja Fatah Singh Ahluwalia and is built in a bright white structure. 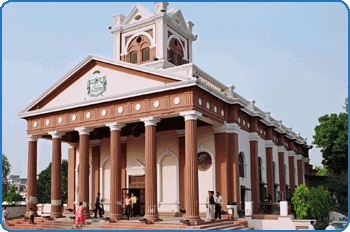 Due to its marvelous architecture it is one of the few Hindu temples that has its replica in one of the Museums in Lahore, Pakistan. Jagatjit club is a geek-revival style building that has served several purposes since its construction. The building has the Coat of Arms of the Royal Family of Patiala and is inspired by the design of the Acropolis of Athens. Located in the heart of the city of Kapurthala, Shalimar Gardens are a hugely frequented tourist spot that provide a momentary escape from the busy life and bustle of the city. The gardens contain the cenotaphs of the Royal family of Kapurthala and are characterized by the marble obelisks in the chambers made of red sandstone. 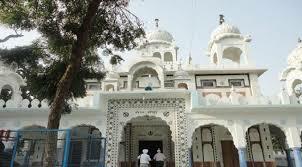 Gurudwara Shri Guru Ka Baag is situated in the Sultanpur Lodhi city in Kapurthala Distt.Guru Nanak spent 14 years in Sultanpur Lodhi as a young man working for Nawab Daulat Khan Lodhi. This was the house of Guru Nanak where his two sons Baba Sri Chand and Baba Lakhmi Chand were born. Guru Nanak tested his two sons, but neither proved worthy of being his successor. Baba Lakhmi Chand was too involved in worldly affairs while Baba Sri Chand chose the path of renunciation and became an aesthetic. 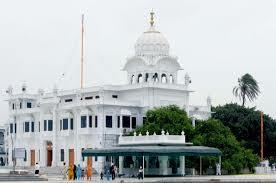 Guru Sahib used to have Langar prepared by Bibi Nanaki ji. Well(Khooh) is also located here, from which water was used for Langar Preparation. Gurudwara Ber Sahib, the principal shrine at Sultanpur, is situated on the bank of the rivulet Kali Bein, half a kilometre to the west of the old town.Gurudwara Ber Sahib is built by the side of an old ber tree which is believed to be the one under which Guru Nanak would sit in meditation.The present building of Gurudwara Ber Sahib was built by Maharaja Jagatjit Singh of Kapurthala. The cornerstone was laid by Bhai Arjan Singh of Bagarian on 25 February 1937, and the Gurudwara was on completion dedicated by Lieutenant General Maharaja Yadavinder Singh of Patiala on 26 January 1941. 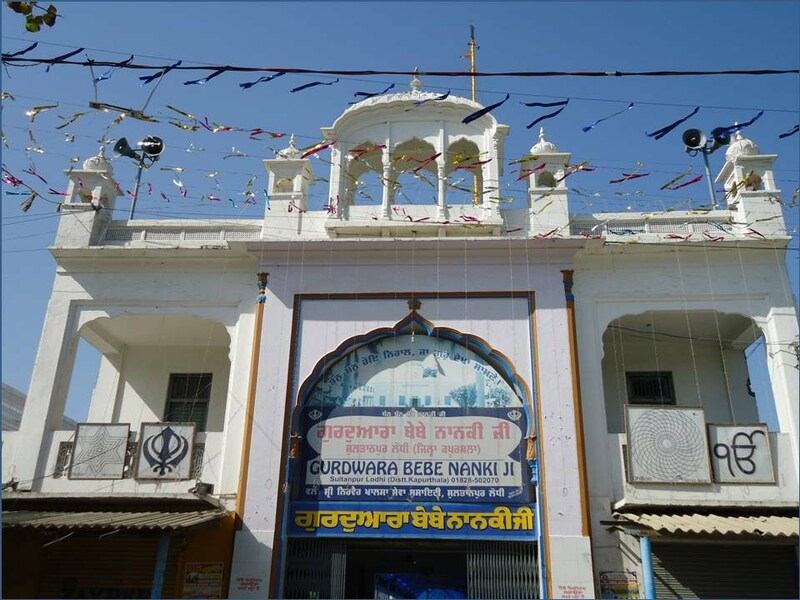 The Gurdwara Bebe Nanaki Ji is situated in the Sultanpur Lodhi City of Kapurthala Distt.The Gurdwara Bebe Nanaki Ji comprises a central hall, with the Guru Granth Sahib seated in a white marble palaki at the far end. The Guru Granth Sahib is also seated in a small side room symbolizing Bebe Nanaki’s own lodging. Over the sanctum, above the hall roof, is a square domed room with arched copings. Bulbous domes adorn the corners of the hall roof. 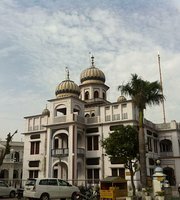 Gurudwara Sri Sant Ghat Sahib is situated in the Sultanpur Lodhi town of Kapurthala district.It is situated on the bank of Bein river. From Ber sahib, Satguru nanak dev ji dived into Bein & disappeared.The big reason for this place to be named sant ghaat is that maharaaj guru nanak dev ji meditated here to the akaal purakh & went from here to serve the World. 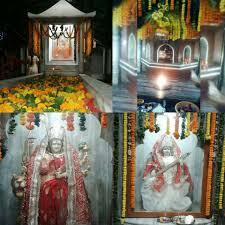 This place is belongs to 6th Master Sri Guru Hargobind Sahib ji, during his visit in Phagwara City.Go there for calm and tranquility.peaceful place.busiest day is Sunday.services start early morning and then in the evening with sodar di chonki until sukh assan.Its an Holy place near Phagwara. Guru Hargobind Sahib Ji came here after fighting with mughals and rested here under the tree.GURUDWARA SHRI SUKHCHAIN SAHIB is situated the Phagwara City, Distt Kapurthala. After winning the battle at Kartarpur and Plahi, SHRI GURU HARGOBIND SAHIB JI came to residence of Phagu, a great devotee of GURU SAHIB. But when Phagu came to know that GURU SAHIB had come here after fight with Mughals and he thought Mughals might be following him also, he was frightened and didnt served GURU SAHIB. 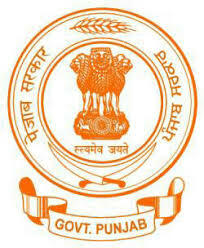 GURU SAHIB said \”PHAGU DA WADA, BAHRON MITHA ANDRO KHARA\” .